Hello! I am a Jane Austen scholar and assistant professor at the University of Maine at Farmington. 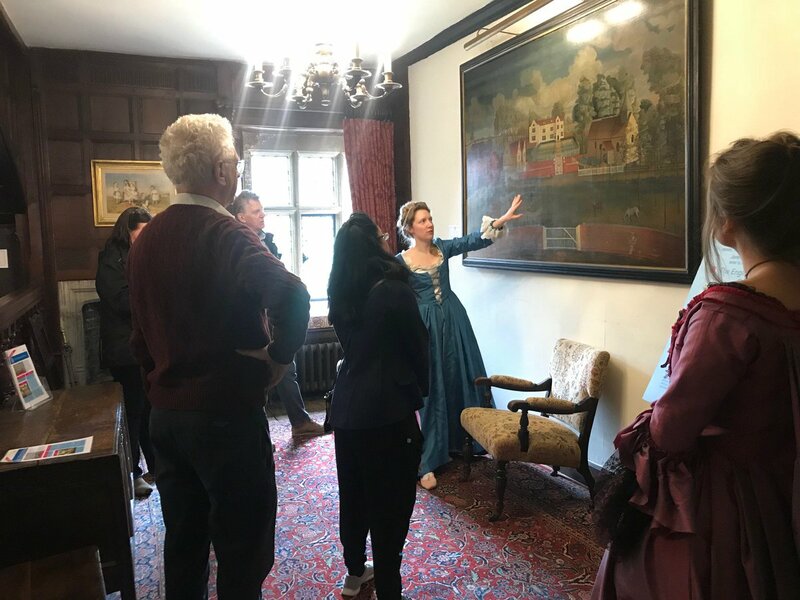 As the Jane Austen Society of North America (JASNA) International Visitor, I recently completed a six-week trip to Chawton House Library (CHL) and Jane Austen’s House Museum (JAHM). 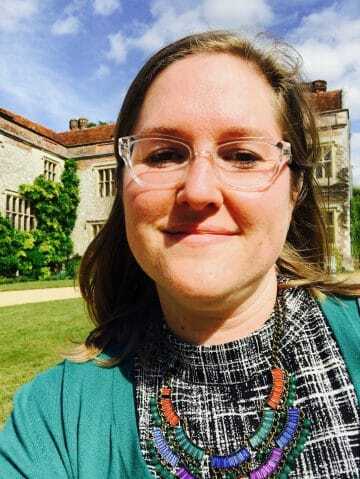 JASNA awards one grant, through its International Visitor Program (IVP), to one JASNA member who needs to be in Chawton in order to pursue an Austen-related project. Applicants for this position also volunteer weekly to at CHL, JAHM, or St. Nicholas Church. In my application, I explained that I needed to visit Chawton in order to conduct research at CHL and JAHM on Jane Austen, juvenilia, and women’s writings addressed to young women. I also agreed to donate my time at CHL and JAHM. 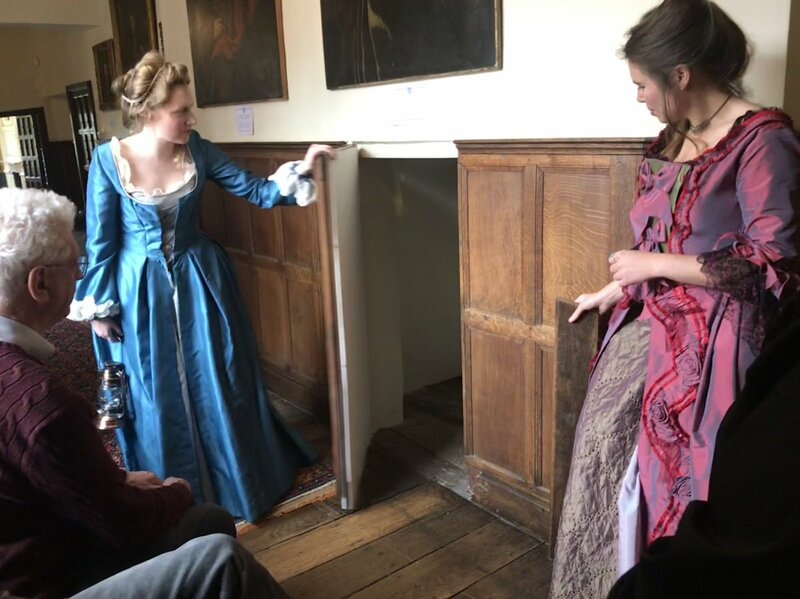 In this blog post, I discuss what I encountered in my study and observations in Chawton as they pertain to my research project. A second post will address my service experience. At CHL, I looked at a plethora of books from the Knight Collection as well as the Main Collection on Women Writers. I looked through marginalia by Henry Thomas and George Austen (later Knight); I found annotations in a host of books, including Hugh Blair’s Sermons. 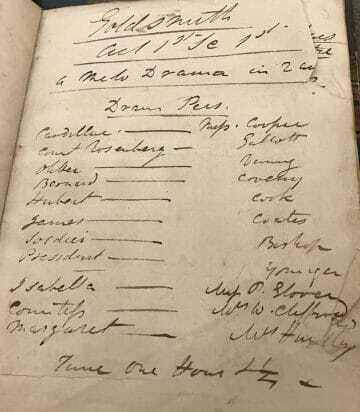 I read carefully handwritten manuscripts, including women’s diaries and creative writings, such as Fanny Holcroft’s melodrama, “Goldsmith,” shown in the picture below. I poured over numerous novels written by women and directed to women, such as Mrs. Collyer’s Felicia to Charlotte, and didactic tales doing the same. From Mrs. Griffith’s novelettes to Maria Edgeworth’s Moral Tales, I spent much of my time reading and thinking about how women inculcate young girls in the ways of the world. From boxes of loose sheets of paper to beautifully leather bound books ranging from a small to large size, joyfully I spent my time in the library learning something new every day. Much to my delight, my research was not simply one of an archival nature. It was also experiential. 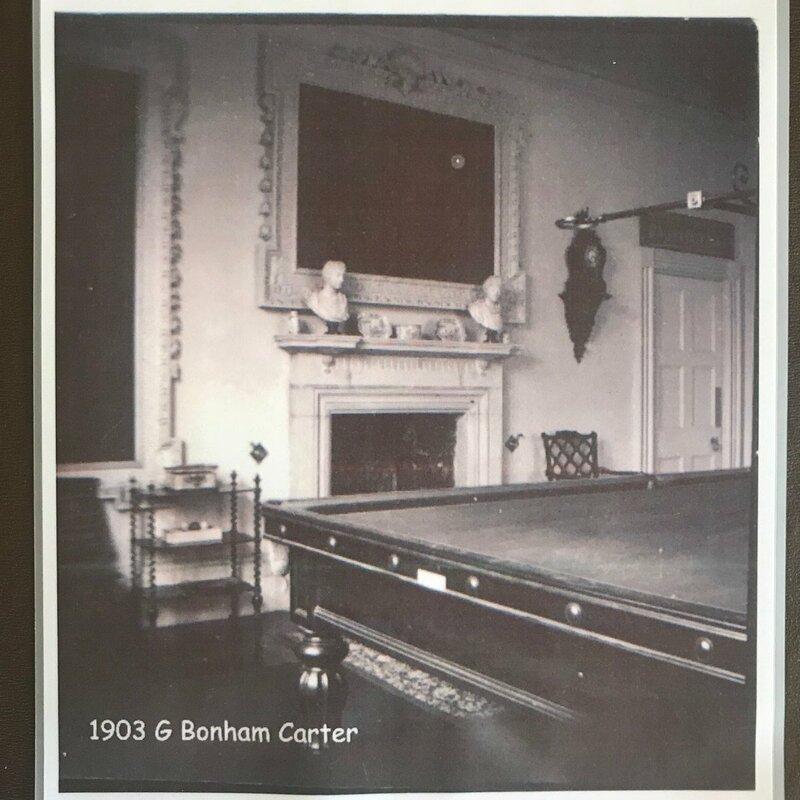 I toured Chawton House to discover the history of this space, to think about how Jane Austen might have wondered through and sat in some of these rooms, and to look at beautiful paintings of her kin (brother and nephew). 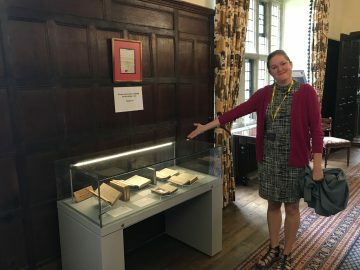 I learned more about Austen’s works and their publication history through the house’s excelled exhibit, “Fickle Fortunes,” and I was able to see part of the Austen manuscript that drew me to Chawton in the first place: Sir Charles Grandison (SCG). Something that readers cannot truly comprehend by photo or description is the size and quality of handwriting found in this original document. In looking at SCG in person, I better ascertained the makeshift nature of playlet’s composition. The booklets vary in size, possibly suggesting that they were not composed at the same time; blots of ink and strikethroughs indicate changes. Unlike Austen’s carefully copied juvenilia, SCG represents writing written in the moment, perhaps even in haste, and retained as an artifact of an experience, of a precious moment in time. At JAHM my research was certainly of an experiential nature. What amazement at seeing Austen’s writing table, a lock of her hair, her turquoise ring and topaz cross, her patchwork coverlet, and the ivory cup and ball she played with alongside her nephews. This last item pleased me the most—what a fun pastime! What a playful way to imagine Aunt Jane. Simply being in JAHM is a treat. 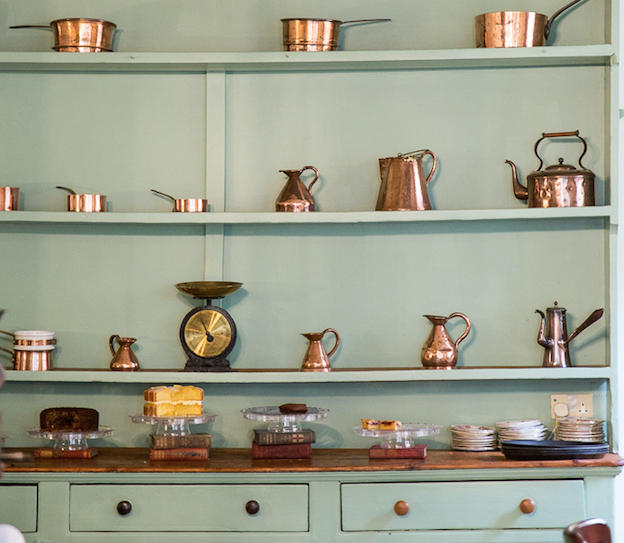 It is a living museum that taught me something about the Austens every time I crossed the threshold. On some days, I spent my time thinking about Francis, for there is an entire room devoted to him. Other days, it was Jane and Cassandra Austen, two sisters living together, complementing each other. From my days spent at CHL and JAHM, I will take away the experience of walking in Jane Austen’s footsteps and trying to see the world through her eyes. 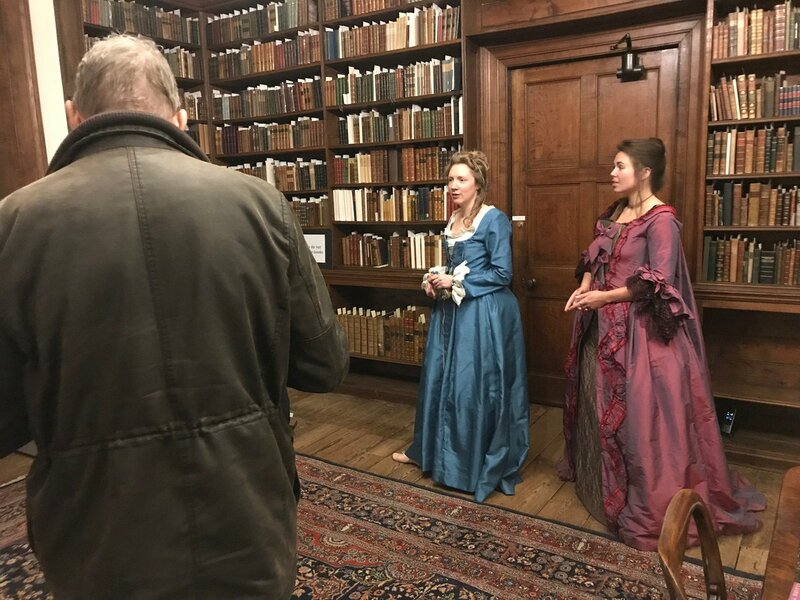 Although research and site studies were the impetus for my trip, I feel fortunate to have had the opportunity to attend the Jane Austen Society of the UK’s annual general meeting and meet its members, and to act as steward at Chawton House Library (CHL) and Jane Austen’s House Museum (JAHM). I had the pleasure of acting as steward at CHL and JAHM for the duration of my time in England. Volunteering at both sites has given me the benefit of spending a great deal of time in each locale and inhabiting both spaces in a way that I would not have done simply as a visitor. Perhaps many people do not realize the extent to which these two Austen institutions rely on volunteerism. 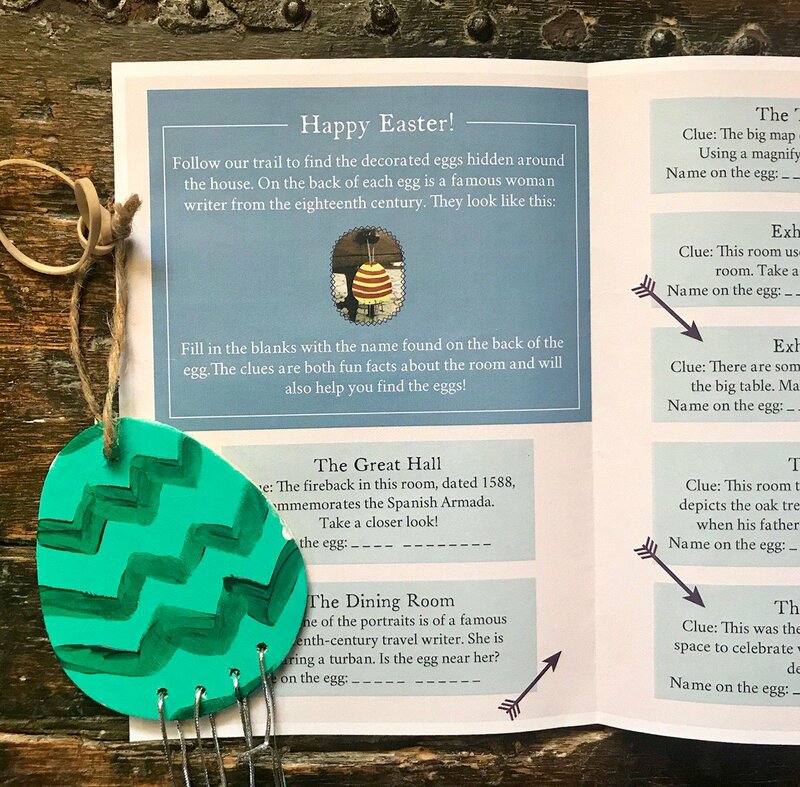 Each week dozens of people volunteer to welcome people to each house, give free tours, answer questions, and even let them into locked rooms, such I did every Monday in the library’s lower reading room. Each week visitors interact with the stewards as much as they do with the sites. At each site, I was responsible for opening and closing the house. What a special routine! 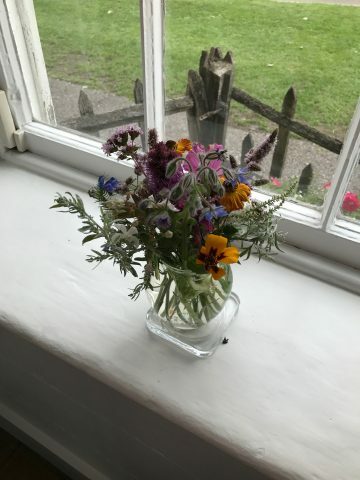 It begins by opening doors, shutters, and curtains; turning on lights; removing covers from display cases and storing them; placing flowers in windowsills (at JAHM); and generally making the house ready for visitors. To end the day, simply picture the routine in reverse. As you can imagine, at these times of the day the houses are quiet and still. 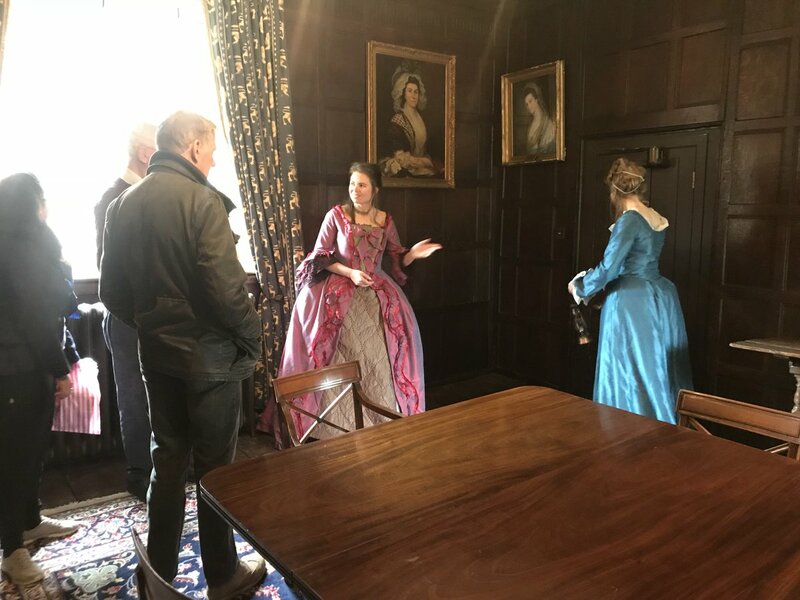 The hustle and bustle of visitors surely changes the space, so it is quite special to be alone in rooms such as the Great House’s great hall or the cottage’s bedrooms, including the one Jane and Cassandra shared. 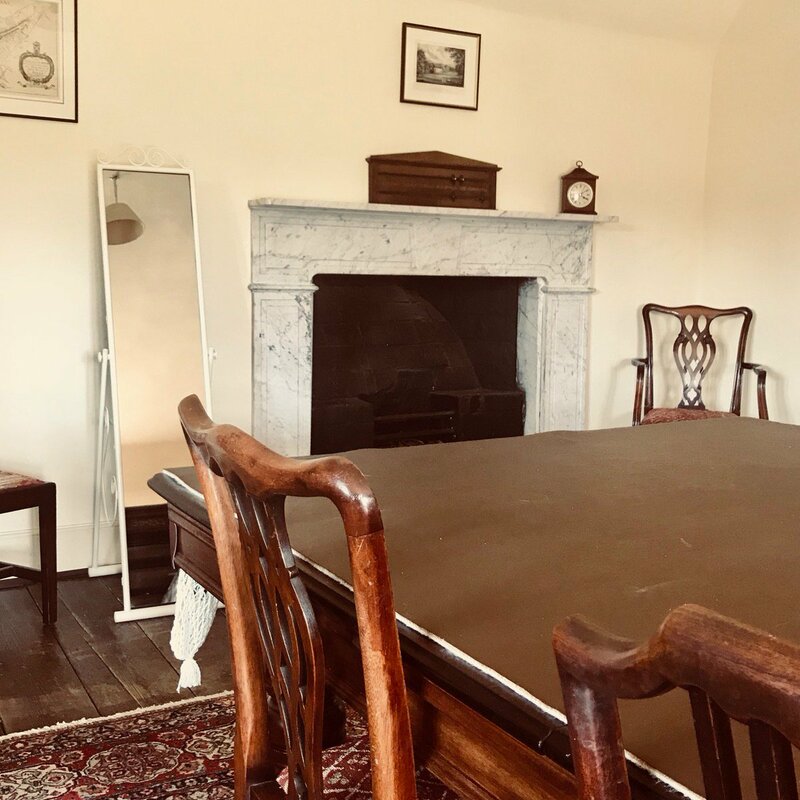 In addition to the time I spent studying these spaces, reflecting on the treasures within, and imagining Jane Austen sitting at tables small and large, I also relished each day’s observations of and conversations with the visitors. 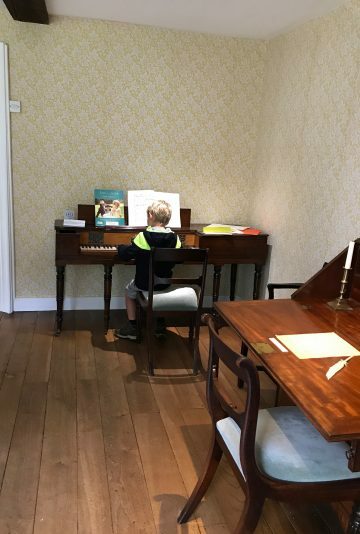 I have seen the delight of children at JAHM as they play the piano or undertake a scavenger hunt to find a list of portraits given to them as they enter the museum. I have witnessed the pleasures of visitors who enter CHL’s lower reading room and are overwhelmed by the sight and smell of old books. I have watched countless scenes of people taking pictures of themselves outside these magnificent buildings. More than a mere observer, though, I have been engaged in conversations about wallpaper, tapestries, floors, and furniture. I have even been asked Jane Austen questions by visitors less familiar with the author, such as how many novels she wrote and where she wrote them. I have talked about women writers, the books on CHL’s plentiful shelves, and Austen manuscripts. As a researcher venturing to an archive, a museum, or a special collection, you expect to read a lot and walk away with new ideas and ideally answers to the questions with which you arrived. As the JASNA IVP, I was fortunate to get to experience these places and to think about research in an entirely new way. In the end, I was not a visitor, even though my title would suggest such. I was a guest, dare I say even an inhabitant of these places. I am grateful to have lived in them for these past six weeks.